Continuing its environment-minded announcements on Monday, Apple revealed a new plan to accept all used Apple products for free in an effort to cut down on pollution caused by manufacture and use of the company's devices. As part of an eco-friendly push timed to coincide with Earth Day, Apple announced it will take back all used Apple devices for recycling free of charge, keeping the electronics out of landfills, reports the Associated Press. In cooperation with third-party companies like PowerON, Apple hands out gift cards for iOS devices that are in good enough condition to be resold on the open market. The new recycling program expands that initiative to include any Apple product brought into one of the company's retail stores. 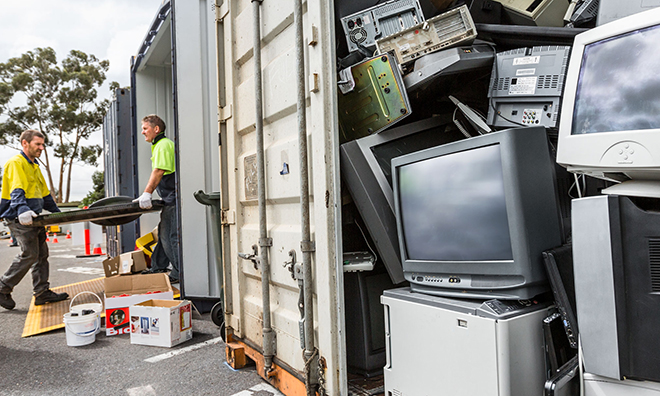 While Apple will not be offering gift cards in exchange for older products with little to no resale value, the free recycling is meant to keep electronics out of landfills. Many devices, including those sold by Apple, contain toxins that leech into the ground if not properly recycled or disposed of. As noted on a revamped environmental responsibility website, Apple is highlighting steps taken toward a cleaner business model. For example, some 94 percent of energy used by the company's data centers and corporate campuses come from renewable sources like solar and wind. "What the company wants to do is use all our innovation and all of our expertise to make the planet more secure and make the environment better," said Apple Vice President of Environmental Initiatives Lisa Jackson.